Caroline read law at The University of Buckingham. After completing her undergraduate degree she went on to complete a Masters degree in International and Commercial Law. Caroline was called to the Bar by Gray’s Inn in 1993. In 2002 Caroline was conditionally admitted to the Queensland Bar and practised for a short time in Brisbane before returning to the UK. 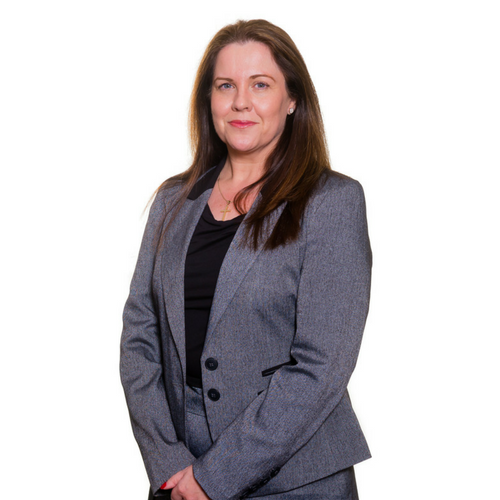 Having practised out of another set in Leeds for 16 years, Caroline joined St John’s Chambers in 2010. She practises family law with particular expertise in care work. Caroline is a Family Law Specialist. She has a particular interest in Care Proceedings. She acts for Local Authorities, parents, intervenors and the children in proceedings. Her caseload ranges from neglect to acting for a parent after inflicted injuries resulted in the death of a baby. Caroline carries out an increasing amount of the High Court work. Doncaster MBC v Haigh is  1 FLR 55: Contact – False sexual abuse allegations by mother – Child placed in care of father – Media campaign against father. In this matter Caroline acted for the Local Authority at this hearing, and in the original fact finding and final hearings. When the parents of the 10-year-old child separated the child initially had contact with the father. Shortly after separation the mother started making serious allegations that the father had sexually abused the child and contact ceased. In care proceedings it was found that the mother had coached the child to make the false allegations. A care order was made and the child was placed in the care of the father. Supervised contact was initially offered to the mother but she declined and contact had not taken place. The mother embarked on a media and internet campaign, accusing the father of sexual abuse and criticising social workers, the police, lawyers. She also contacted the child’s school and the father’s employers. A reporting restriction order was put in place along with s 34(4) and s 91(14) orders. Following an incident where the mother breached the non-molestation order she was sentenced to 2 years’ 3 months’ imprisonment. She was further sentenced to 12 months’ conditional discharge for breaches of the orders. The local authority now sought a continuation of the s 34(4) order permitted them to withhold contact for a further two years and an order for an exclusion zone around the child’s home, school and the grandmother’s home. In addition the local authority sought a s 91(14) order for three years’ duration. The social worker reported that the child did not wish to have any contact with the mother and the maternal family and that she was happy living with her father. She was, however, scared of accidentally or deliberately seeing the mother. In order to protect the child the orders were granted. There would be no difficulty with the mother complying with the exclusion zone order and it would protect the child’s wellbeing and peace of mind. This case has been the subject of media interest and the High Court has given leave for the identities of the parties (save for the child) to be publicised in order to free the father from the ongoing smear campaign raised by the mother from which he was unable to defend himself. Re T : Caroline represented the Local Authority in care proceedings where it was alleged and found after a contested fact finding hearing that the Roma father of eight children had sexually abused his eldest daughter whilst she was an inpatient undergoing video telemetry testing for epilepsy. Notwithstanding night vision video evidence of the abuse taking place, both parents denied that it was the Father in the video, and the victim was alleged by them not to be their daughter. After the children had been removed from their care, all the children alleged abuse at the hands of their Father with the knowledge of the Mother. The Father is now serving a 15-year sentence of imprisonment for sexual offences against his children. Re O : Caroline is representing the mother in ongoing High Court proceedings. The child (11-week-old baby) sustained significant brain injuries with some suggestion that there might be evidence of an older bleed. The child did not respond to treatment and after brain stem testing, treatment was withdrawn and the child died. The injuries are likely to be non-accidental. There has been no previous social care involvement with the family. The mother’s older child has been removed from the care of her and her partner. The issues are going to be the likely causation of the injuries resulting in death and the identity of the perpetrator. Extensive medical evidence has been sought. EWFC 47 Case No: SE 24/14: Caroline and Andrew Wynne acted for the genetic father and paternal aunt respectfully in an application by prospective adopters for an adoption order. Those family members were unknown at the time of the original care proceedings. The Local Authority and other professionals failed to undertake appropriate enquiries as to the true ethnicity or paternity of the child. The genetic father came forward and opposed the making of the adoption order alongside the paternal aunt who was assessed as being more than capable of meeting her nephew’s needs. After a harrowing week of evidence which included hearing evidence from the family members and the prospective adopters, Holman J revoked the Placement Order with a plan of placing the child with the paternal aunt. Holman J considered that it was positively better for the child to be moved to his natural family rather than remain with the potential adopters, in whose care the child had been for over a year. Holman J described this case (and decision) as ‘extremely painful’, appreciating the ‘intense grief it will cause to the potential adopters and their extended family’. It is understood that this is the successful first case of its kind. Click here to read the Judgment. EWHC 4151 (Fam): Caroline acted for the Local Authority in a freestanding application by the Father for disclosure of the psychological assessment undertaken within previous care proceedings of his eldest daughter (aged 12). The child had witnessed her Father stabbing her step-mother to death in a busy street. In the criminal proceedings in her oral evidence she insisted that she had heard and seen her Father planning the killing the night before it occurred. The Father was convicted of murder but had initially pleaded guilty to manslaughter. As part of his appeal against his murder conviction, he sought disclosure of the psychological assessment on the basis that she had differed in her account to the psychologist of the events surrounding the killing than she had stated in evidence at the trial. The implications of such disclosure for similar cases in the future was relevant and expert evidence questioned how experts would be able to build up a trusting relationship with a child. The primary question was how could experts undertake appropriate assessments if interviews with the child that have been undertaken for therapeutic purposes only could be used in this manner. Although the leading case law seemed to favour disclosure, the judge found against the Father on the basis that the purpose of the assessment was fundamentally different to the types of disclosure allowed within the leading case law and its impact upon the child could be devastating. The father and the children were represented by QCs, Caroline acted for the Local Authority alone. Re. C (A Child)  EWCA Civ 1787 Court of Appeal: In this matter Caroline acted for the Local Authority Respondent to the Appeal. This was an appeal lodged by the grandparents of an order at the conclusion of care proceedings that there should be no further assessment of them and the child should be placed for adoption. Permission to appeal was granted but the appeal was dismissed. The grandparents submitted that the judge had been plainly wrong in arriving at his decision because, inter alia, the judge had fixed on areas of concern and failed to bring into consideration the grandparents’ history of successful parenting of two of their four children. The Court of Appeal highlighted, however, that the judge also noted the impact that further delay would have on the child (having heard the evidence of an expert and the guardian) and that the judge had heard the witnesses and, as tempting as it may be for the appellate court to substitute the judge’s order with another, the appellate court must always be guarded about doing so. The appeal was dismissed. Re WH : Represented Mother’s boyfriend in proceedings where the Mother’s three-year-old son suffered life threatening injuries including a split liver, rib fractures and subdural haemorrhage. Additional undisclosed medical evidence in respect of further injuries came to light during course of hearing. Boyfriend found to have been the perpetrator. The cross examination of a number of medical experts was required. Re A : Caroline represented the mother in fact finding proceedings where her four-week-old son sustained numerous rib fractures and a genital injury. Only the parents were in the pool of perpetrators. Issues of causation and timing. The Mother argued throughout that she had been suffering from a vitamin deficiency that must have passed over to the baby in utero thereby causing the child to fracture easily and which had dissipated by the time the child was medically examined. Cross examination of numerous medical experts. Very difficult client. The child was eventually placed for adoption. This case was featured on BBC’s Panorama programme in 2014.